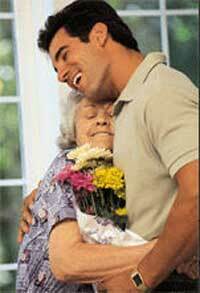 Many families are caring for senior family members in their own homes. Today, there are numerous appliances and supplies to modify the physical structure of your home to accommodate for the changing needs of your loved one. There is also a wider variety in-home services available when the time comes. 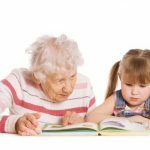 Before there is a need for assisted living, you might be able to use a part-time companion or aide or personal care worker. You might engage a respite care worker so you can take a break. 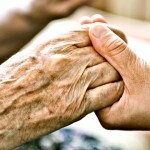 Hospice or home health care may be appropriate. Caring for another person is a complex process. When you are caring for someone, there is a time when you may step into unfamiliar territory. It is during those times that we must go with the flow of changes during the day. But, this isn’t always an easy task. At any given time, care giving can be overwhelming even when there is well intentioned advice from family, friends or medical, social or psychological contacts; handling life changes is difficult enough especially when the advice differs from the way you thought was right. When you are feeling a conflict, it may be best to trust your own instincts, your own wisdom, but know that you must also be sure you care for yourself. When you care for yourself, you can more easily get through the times when care giving becomes more difficult. Allowing each of you the opportunity to accept the moment without trying to live up to our own or others’ ideals or expectations, means you are more likely to be able to experience each other with compassion. Assisted living may allow you to enjoy each moment. This means you are in acceptance of the situation. You accept your loved one and yourself as you are. You are not trying to transform them into the person they once may have been. You are not trying to be control, trying to change the situation from what it is. When you are in acceptance, you no longer feel discouraged, tense and removed. When you are in acceptance, you can better understand what is possible in the moment for your loved one and you. The time may come when you or loved one no longer has the strength or ability to continue care giving in the home setting. No doubt you have offered as much as you can offer and it is no longer safe or reasonable to attempt any more. You may feel guilt, pain or fear, but knowing that there is nothing else to do but obtain another type of care means you can step back to enjoy the relationship with more contentment. Kathy understands your experience. A Caring Heart is there compassionately helping you and your loved one find the appropriate level of care in one of the assisted living settings. Accepting the situation doesn’t mean you have to be overwhelmed in it. You should be able to enjoy each other every moment you can.